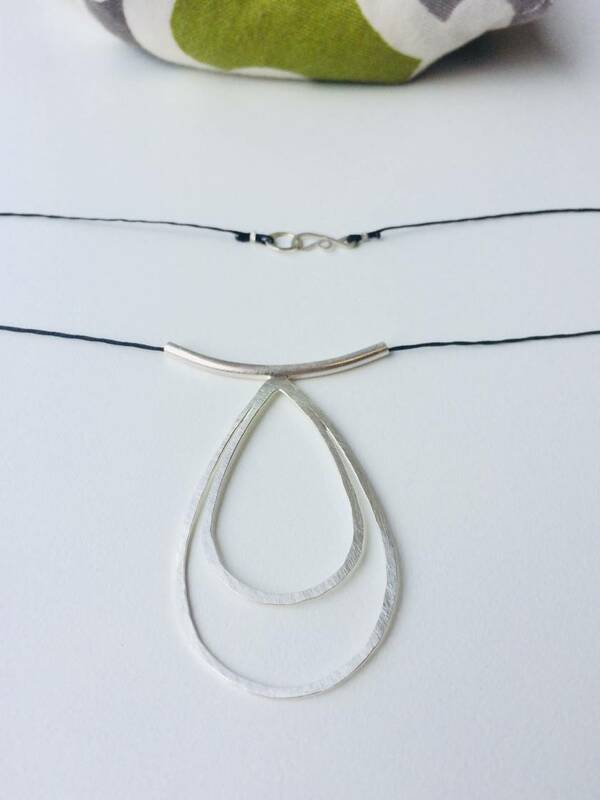 Simple, elegant and just a tiny bit playful, this necklace series can be worn with your everyday casual or for a quirky and elegant splash on date night. 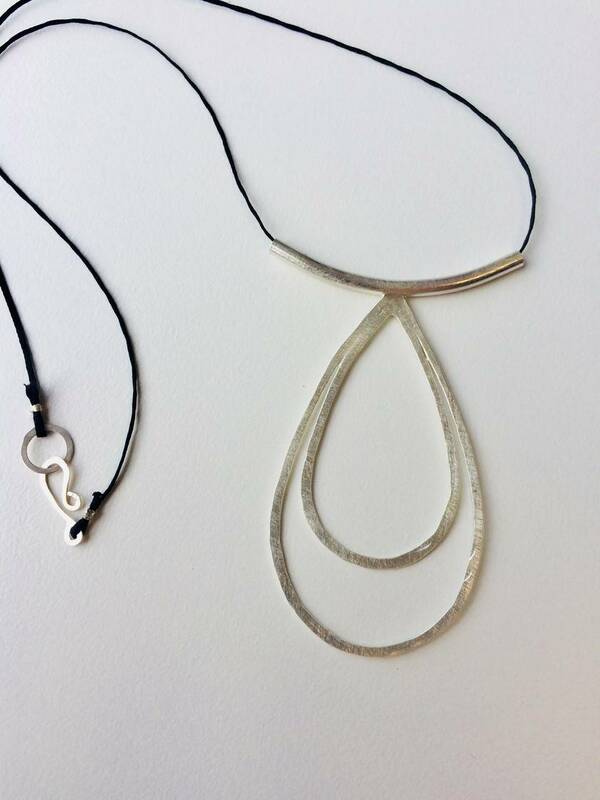 Individually formed pendant made from hammered and soldered .925 sterling silver wire with polished or brushed finish. Necklace cord is nylon with handmade sterling silver clasp. Pendant measures 45 (width of bar) x 70mm. Please specify desired finish in your purchase notes.